When Bangladesh faced political crisis in the past, proposals were made for dialogue. The history of the country shows that these discussions often did not yield any tangible result. In recent times, BNP’s proposals for talks have been rejected by the government, but after Oikkofront gave a letter for dialogue, the government has decided to respect it. Political analysts feel the failures of the past should be set aside. After the brutal murder of Bangabandhu and family in August 1975, there was a change in the political arena with Ziaur Rahman taking power. On 22 January, 1976, political leaders had a meeting with the president’s special assistant, justice Abdus Sattar. On 9 April, 1984, the then president Ershad had dialogue with leaders of the seven parties. At that time, the seven parties gave 33 point demands but the talks did not progress and the leaders of the seven parties left. 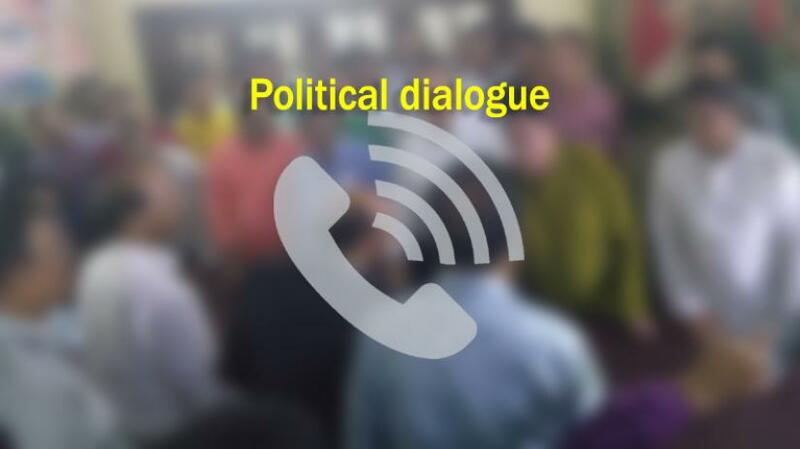 On 10 April, Ershad talked to Jamaat and on 11 April he had discussions with 15 parties. On 12 April, Ershad met Khaleda Zia and on 14 April he had second round of talks with 15 parties. But these discussions were fruitless. Ershad’s call for talks on 7 September, 1987 was rejected by AL president Sheikh Hasina. On 28 November of the same year, Ershad proposed another discussion but did not get any response. In 1994, a discussion was mediated by Commonwealth secretary general Emeka Anyaoku between the ruling BNP and opposition AL but that also did not bring out any concrete result. A proposal for talks in 1995 by AL was rejected by the then parliament deputy leader, Badruddoza Chowdhury. When BNP demanded election under caretaker government in 2001 and the ruling AL rejected it, a crisis developed. To reach a compromise, former US president Jimmy Carter came to Bangladesh and had talks with both sides which again did not produce any result. In 2006, a three week long discussion was held on election time government between opposition AL’s general secretary Abdul Jalil and ruling party secretary general Abdul Mannan Bhuiyan. At that time, 29 points were presented to BNP by AL but the meetings did not end in any understanding. Prior to the January 5, 2014 election, BNP sat with ruling AL at the end of 2013 and UN special envoy Oscar Taranco also came to Dhaka to mediate talks. Three meetings were held but the end result was nil. On 29 October last, a letter containing a request for discussions was sent from Oikkofront to which the PM agreed and leaders have been invited to Gonobhaban on 1 November, Thursday.